ATLANTA, Oct. 4, 2018 /PRNewswire/ -- The fall season marks the arrival of 2019 models on dealership lots, and for car buyers this means two things: quality selection and good deals. Dealerships are typically filled with more inventory as the 2019 models come in and 2018 models go out. Car shoppers can use this time of year to find even more value by looking at certified pre-owned vehicles. "Fall is typically a buyer's market for auto sales," said Brian Moody, executive editor for Autotrader. "Dealers are looking to move both new and used vehicles off their lots. Car buyers can score significant savings on certified pre-owned vehicles this time of year, and at a price lower than a new car but still backed by a warranty." BMW's certified pre-owned program offers 1 year of comprehensive coverage, with an option to extend to further years for an extra fee -- similar to programs offered by Audi and Mercedes-Benz. Through the end of October qualified shoppers who finance a certified pre-owned 2015-2016 BMW through BMW Financial Services can take advantage of no payments for three months at the start of their loan -- an appealing offer for many shoppers, right after making a big down payment to buy a vehicle. Buick's certified pre-owned program is highly appealing, with two desirable warranties. The first touts powertrain coverage for up to 6 years or 100,000 miles from the original sale date, while the other boasts an additional year of comprehensive coverage from the day you buy the car, or from the day the original warranty ends -- whichever is later. This quarter, Buick is offering a strong incentive that sweetens the deal: through the end of the year, qualified shoppers can get 1.9 percent interest for up to 36 months on certified pre-owned Enclave and Encore crossovers. Chevy's certified pre-owned program offers two desirable warranties: a 6-year or 100,000-mile powertrain warranty from the original sale date, or a comprehensive warranty that touts 1 year or 12,000 miles of coverage. Through the end of the year, Chevy is also offering a similar incentive to its fellow GM brands: qualified shoppers can get 1.9 percent interest for up to 36 months on several popular models -- the Cruze and Malibu sedans, the Equinox and Traverse crossovers, and the Silverado pickup. GMC's certified pre-owned program offers two excellent warranties: a comprehensive warranty that lasts for 1 year or 12,000 miles from the expiration of the factory warranty, and a powertrain warranty that offers coverage for up to 6 years or 100,000 miles from the original sale date. This month, qualified shoppers can get 1.9 percent interest for up to 36 months on certified pre-owned versions of the Acadia and Terrain crossovers, or the Sierra pickup. Jaguar's certified pre-owned program is among the best in the industry, as it offers comprehensive coverage for up to 6 years or 100,000 miles. Through the end of October, the best offer is for qualified shoppers looking to finance a certified pre-owned Jaguar over 24 months, as most models are offered with 0.9 percent interest. For shoppers who would prefer a longer term, many desirable models are offered with 1.9 percent interest for up to 36 months, including the 2015-2016 XF, the 2015-2016 XJ, the 2015-2016 F-Type, and the 2015 XK. Land Rover's certified pre-owned program features a warranty that lasts for up to 6 years or 100,000 miles from the original sale date. This month, qualified shoppers who get a CPO Land Rover Discovery Sport can get a great deal, as Land Rover is touting 0.9 percent interest for up to 24 months, or 1.9 percent interest for up to 36 months. Lexus's certified pre-owned warranty is fantastic, as it touts comprehensive coverage for up to six years with no mileage limit -- one of the few unlimited mileage warranties in the industry. In October, Lexus is sweetening the pot with another promotion for certified pre-owned versions of its Lexus RX crossover. Through the end of the month, qualified shoppers interested in a CPO RX can get 3.9 percent interest for up to 60 months -- a strong deal for a pre-owned vehicle. Subaru's certified pre-owned program offers powertrain coverage for up to 7 years or 100,000 miles from the original sale date. Through the end of October, Subaru is touting 0.99 percent interest on certified pre-owned vehicles for up to 36 months, which is an excellent offer for a used car -- especially when you factor in the warranty. 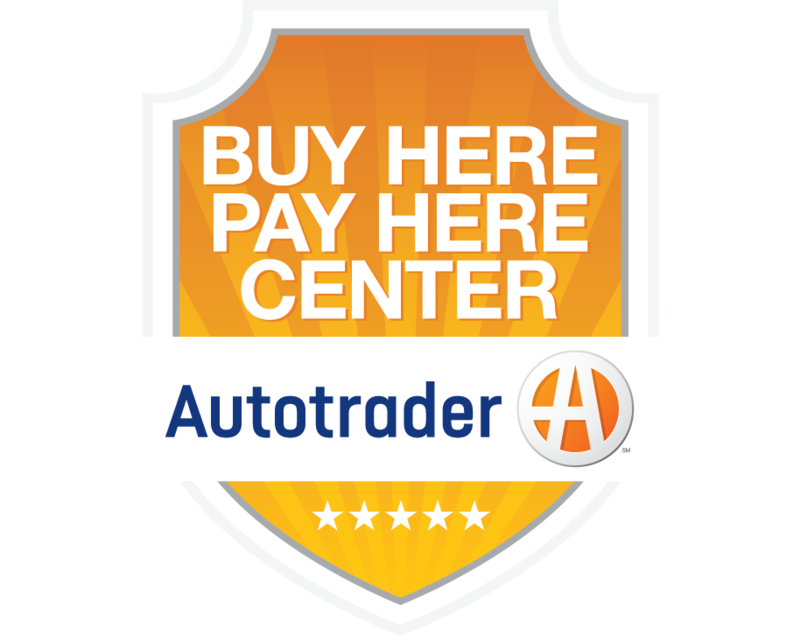 To see Autotrader's full coverage of the CPO programs mentioned and available inventory, please visit https://www.autotrader.com/car-deals/cpo-deals-october-2018-281474979887356.